presented by Dr David Bylund, Program Development Manager, Wood Solutions Mid-rise Advisory Program WoodSolutions. This presentation reported on the completion of the FWPA funded project Enabling Prefabricated Timber Building Systems in Commercial Construction (PNA324-1314). The project, delivered via the University of Tasmania’s CSAW group, identifies drivers for and barriers to the increased use of prefabricated timber building systems in Class 2 to 9 commercial buildings. This webinar discussed the findings of the study including perceived and real barriers to the uptake of existing and new prefabricated timber building systems. David Bylund is an architect and a passionate advocate of timber’s capacity to build tomorrow’s buildings better through the creation of quality, sustainable living and working environments. 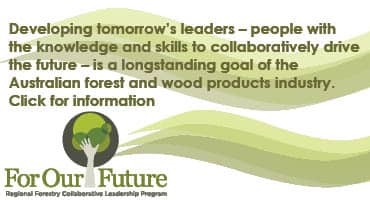 He is currently employed as one of Program Development Managers for mid-rise timber construction in Forest Wood Products Australia’s (FWPA) WoodSolutions program. Prior to this, he was a Research Fellow at the University of Tasmania in the School of Architecture and Design’s Centre for Sustainable Architecture in Wood (CSAW) where he was the lead researcher for this project. He has a PhD from the University of Western Australia, funded by a Post Graduate Scholarship from FWPA where he researched Scandinavian prefabrication techniques and their application in Australia, and he is also a registered architect in Western Australia.